I have been synching my s notes with my samsung S Note 5 with evernote. When my phone returned from the lab for repair I restored the notes and now I can see all the S notes on my evbernote app but cant open them. 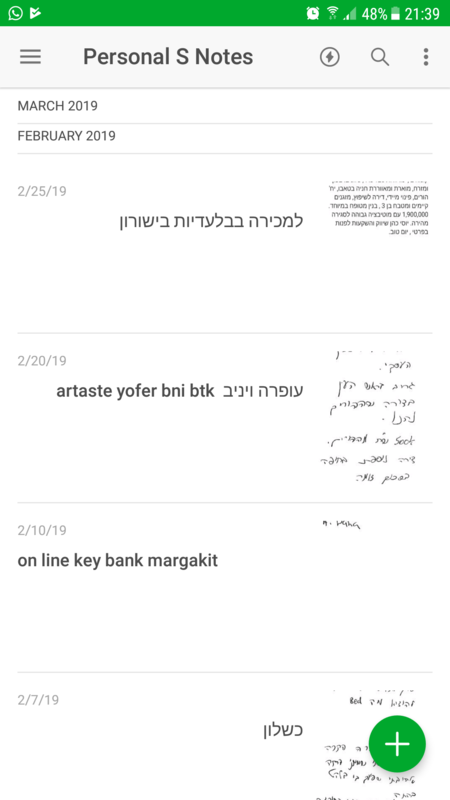 In the attached file you can see the evernote screenshot on my mobilr device all of the snotes thumbnails are there but when touching them nothing happens. Can someone help on this? As I recall, the S Notes are attached to Evernote notes in their proprietary format, and the S Note app must be available to open them. Do you still have S Note installed on your phone? I think Samsung puts something else called Samsung Notes on their phones now. If the lab did a factory reset on your phone, it may be that Samsung Notes was installed rather than S Note. I believe it is still possible to install the S Note app from Google Play. You may need to do that in order to access the S Notes. Mazal tov! I do have s notes installed on my phone as I am using the Samsung galaxy NOTE 5.. I opened Ticket with evernote support clearly a technical problem with their app. OK, I hope you're able to get it resolved.